Sports, physical activity, and active play can help kids maintain a healthy lifestyle. 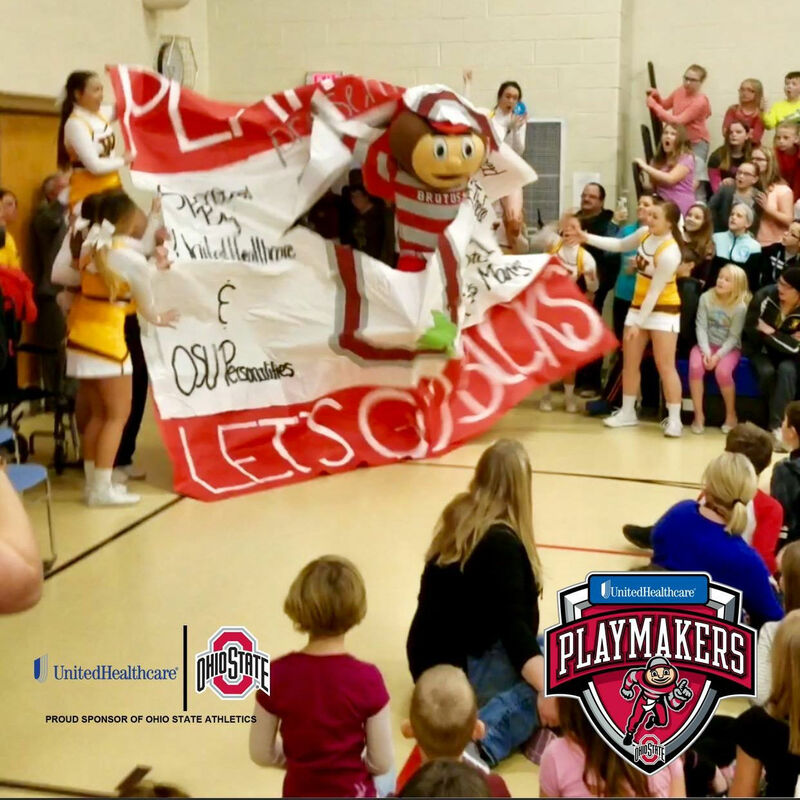 PLAYMAKERS is a sweepstakes designed to improve the health of young Buckeyes by advancing school resources for physical activity. Enter weekly throughout the 2018 Ohio State Buckeyes Football Season for a chance to score an Ohio State Prize Pack including autographed merchandise, and $25,000 for your Ohio Elementary School (grades K-6). 1 entry per week. Your information will not be provided nor distributed to any external entities. Become a PLAYMAKER for kids. Enter Today. To learn more about PLAYMAKERS, click below to hear an interview from 97.1 The Fan featuring Bobby Carpenter, Anthony Schlegel, and UnitedHealthcare CEO Kurt Lewis.